“A meeting of minds” best describes the first encounter between Andrew Brock and Ashish Phookan in Guwahati, Assam in 2001. Neither knew the other had been pondering how to initiate river cruising on the river Brahmaputra; both jumped at the chance to explore together this exciting idea. 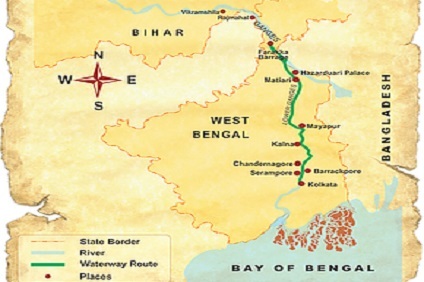 The Indo-British joint-venture company, Assam Bengal Navigation, was formed in 2002 with Andrew and Grania Brock, and Ashish and Jahnabi Phookan, bringing together expertise in tourism, experience of global markets and in-depth knowledge of North East India. Anyone who has travelled by train or plane through India, or who has been driven on Indian roads, will be amazed to learn that there is actually a way to travel through the country in total serenity and comfort. 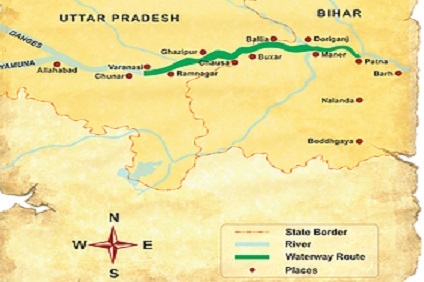 Yet it is in fact possible to cruise for some 1750 miles on the rivers and inland waterways of India, passing through great cities, alongside wildlife sanctuaries and historical monuments and into the heart of rural India. ASSAM BENGAL NAVIGATION are pioneers in this exploration. 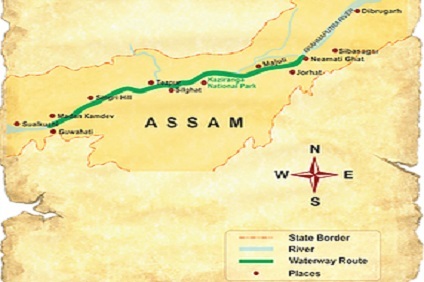 ASSAM BENGAL NAVIGATION is an Indo-British joint venture, with offices in Guwahati and the UK. In 2003 ABN pioneered long-distance river cruising in India with our unique cruises on the River Brahmaputra in Assam, and in 2007 we were also the first to run cruises on the River Hugli between Kolkata and the Ganges. We were awarded the Indian National Tourism Award for Innovation in 2004-5. Experience counts for everything here, and our expertise in the field of river cruising on both waterways is unrivalled. Our first luxury river boat, the “ABN Charaidew”, with 12 air-conditoned en-suite cabins was joined in 2006 by her near-identical sister ship “ABN Sukapha”. Cruises operate in Assam from October to April, and in Bengal virtually all through the year. In February 2014 our fleet increases with the launch of “ABN Rajmahal”, a 22-cabin boat specifically designed for water levels on the Ganges. ASSAM CRUISES, BRAHMAPUTRA. Wildlife and wilderness are the main features of a cruise in Assam on the vast Brahmaputra river – the river bed is often 20 or 30 km across, an empty world of sand spits and water with marvellous bird life and the occasional Gangetic Dolphin. The cruises here also give access to a number of India’s National Parks, including Kaziranga, perhaps the finest of all, and Manas, a Project Tiger reserve on the Bhutan border. BENGAL CRUISES, GANGES and HUGLI. 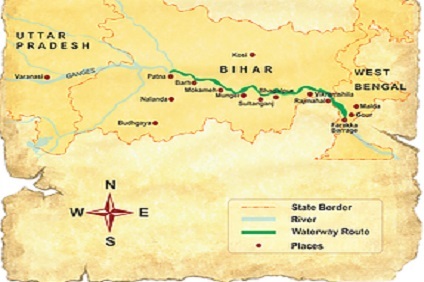 The waterways of the old Bengal Presidency now lie in the Indian states of Bihar and West Bengal, and in independent Bangladesh. Here in the north of the region the rivers Ganges and Brahmaputra meet head to head and then flow out to the sea through the world’s largest delta. Inland, however, on the rich agricultural land lie prosperous towns and villages, rich in history and culture. This is village India at its best, completely unknown to tourists. 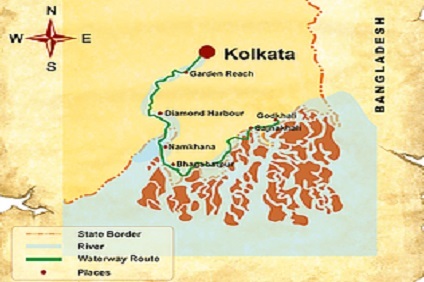 Cruises go north from Calcutta on the intimate River Hugli, and can be linked with our cruises on the Ganges proper from the Bangladesh border up to the historic city of Patna. ASSAM JUNGLE LODGES. At Manas National Park ABN now has its own jungle accommodation, “The Bansbari Lodge”, situated right at the entrance to the Park. The 16 large twin-bedded rooms all have attached bathrooms and the lodge is simply but comfortably furnished. At Kaziranga National Park, the “Diphlu River Lodge” opened in January 2008 and is run by ABN. In prime position, its cottages provide premier quality accommodation for a total of 24 guests. The airconditioned cottages are built on stilts with generous thatched verandahs and en-suite bathrooms, and have fantastic views directly overlooking the river and the National Park. Cruises operate from January through to the end of April, and from July through to December. Every month has both advantages and disadvantages, and we give below a rundown of the different seasons. During these months we sail on the Hugli and Ganges only. There is some rain, but usually for not more than an hour or so at a time. Water levels are high, so grounding is rare, and rural India is looking its incomparable best, lush and green in wonderful clarity of light, with both blossom and tropical fruit abounding. Temperatures are high, with high levels of humidity. Water levels remain quite high, and Brahmaputra cruises start at this time. However foliage is still dense, and flood plains are still often under water, so Assam’s wildlife viewing is usually poor until about the beginning of November. Tea gardens and factories though will be in full swing, usually until early December, while this time offers the best chance of a glimpse of Himalayan snows. Rain should be rare and temperatures moderate, but sun not always guaranteed. Water levels are low on the Ganges and the Brahmaputra, so groundings can occur, while morning mists can delay getting under way. For those who dislike heat, December and January are good months. As leaves shrivel and fall, wildlife viewing starts to improve. Low water levels on the Ganges can cause problems, although the Hugli should not be affected. Temperatures start to rise, although without much humidity, and by April sudden brief storms can occur. In Assam wildlife viewing is probably at its best, and activity returns to the tea gardens.